ABSTRACT: Owing to their speed of excution as well as their limited reliance on detailed knowledge of the terrain characteristics of the service environments, empirical propagation models have enjoyed general acceptability in the wireless communication research community. However, recent industrial observations show that no single propagation model can best fit all the radio service environments, which led to the hypothesis of specific models for specific environments. In order to scientifically verify this hypothesis, the study presented in this paper investigated the performance of the free space propagation loss (FSPL) model in two different radio environments characterised with different types of obstructions. The investigation was conducted through field strength distribution measurement of two broadcasting radio stations transmitting at 96.5 MHz and 102.3 MHz. The field strength measurement data obtained were analysed. The result of the analysis shows gross disparity between the measured path losses and calculated path losses using FSPL model. The disparity thus necessitates the modification of the FSPL model in order to develop each propagation model for each of the two radio stations employed and their environment. The developed models were then evaluated to ascertain their performances relative to the FSPL model. The performance evaluation results show that the predictions of the developed propagation models vary for each of the two environments. Furthermore, the comparative performance evaluation result of the developed models with similar studies in the literature shows that the developed models perform favourably. The overall result from the developed models confirms the hypothesis that each location requires a specific propagation model for proper radio wave design and quality of signal transmission and reception. ABSTRAK: Kelebihan yang ada pada kelajuan perlaksanaannya dan juga kurang pergantungannya pada butiran terperinci ciri-ciri khusus bentuk rupa bumi di persekitaran servisnya, model penyebaran empirik telah diterima umum dalam komuniti kajian komunikasi tanpa wayar. Walau bagaimanapun, pemerhatian industri terkini menunjukkan tidak ada sebarang model penyebaran yang sesuai bagi semua keadaan servis radio, ini menghala kepada hipotesis keperluan model tertentu pada keadaan servis tertentu. Bagi menentusahkan secara saintifik hipotesis ini, kajian yang dibentangkan dalam kertas ini mengkaji tentang prestasi model kehilangan penyebaran pada ruang bebas (FSPL) dalam dua persekitaran radio berlainan melalui beberapa jenis halangan berbeza. Kajian telah dijalankan ke atas dua stesen radio penyiaran pada frekuensi 96.5 MHz dan 102.3 MHz melalui ukuran sebaran ruang keupayaan. Data ukuran ruang keupayaan telah diperoleh dan dianalisa. Keputusan analisis menunjukkan keputusan tidak seragam yang melampau antara ukuran kehilangan laluan dan pada kiraan model FSPL. Ketidaksamaan ini memungkinkan keperluan mengubah model FSPL bagi membangunkan model penyebaran pada setiap dua radio stesen yang digunakan dan persekitarannya. Model yang dibangunkan ini kemudiannya dinilai bagi mengesahkan prestasinya dengan model FSPL. Keputusan penilaian menunjukkan perbezaan pada jangkaan model penyebaran bagi setiap dua keadaan. Tambahan, keputusan perbandingan model yang dibangunkan dalam karya ini adalah serupa seperti kajian lain yang berkaitan. Secara keseluruhannya model yang dibangunkan ini mengesahkan hipotesis bahawa setiap lokasi memerlukan model penyebaran bagi rekaan gelombang radio yang sesuai dan juga kualiti signal penyebaran dan penerimaan. Nwawelu UN, Nzeako N, Ahaneku MA. (2012) The limitations of campus wireless networks: A case study of University of Nigeria, Nsukka [Lionet]. Int. J. Networks and Communications, 2(5):112-122. Zakaria Y, Ivanek L. (2016) Propagation modeling of path loss models for wireless communication in urban and rural environments at 1800 GSM frequency band. Information and Communication Technologies and Services, 14(2):139-144. Kumari M, Yadav T, Yadav P, Sharma PK, Sharma D. (2011) Comparative study of path loss models in different environments. Int. J. Engineering Science and Technology, 3(4):2945-2949. Adegoke AS, Siddle D, Salami SO. (2016) Vegetation attenuation and its dependence on foliage density. Eur. J. Enginering and Technology, 4(3):1-7. Sarkar TK, Ji Z, Kim K, Medouri A, Salazar-Palma M. (2003) A survey of various propagation models for mobile communication. IEEE Antennas and Propagation Magazine, 45(3):51-82. Faruk N, Ayeni AA, Adeniran YA. (2013) Characterization of propagation path loss at VHF/UHF bands for Ilorin city, Nigeria. Nigerian Journal of Technology, 32(2):253-265. Song Y, Lee YH, Ng BC. (2009) The effects of tropical weather on radio-wave propgation over foliage channel. IEEE Transactions on Vehicular Technology, 58(8):4023-4030. Sah N, Thakur T. (2005) Effects of clustters on path loss proposed by Walfisch-Ikegami propagation model. Proceedings of the 11th National Conference on Communications, Kharagpur, India, 28-30 January, 617-620. Ly PL, Ly PL, Rahman TA, Abu MK. (2010) Investigation ofg foliage effects via remote data logging at 5.8 GHz. WSEAS Transaction on Communications, 9(4):237-247. Mawjoud SA. (2013) Path loss propagation model prediction for GSM network planning. Int. J. Computer Applications, 84(7):30-33. Abbaayawardhana VS, Wasell IJ, Crosby D, Sellars MP, Brown MG. (2005) Comparison of emprical propagation path loss models for fixed wireless access systems. Proceedings of the 61st IEEE Vehicular Technology Conference, Stockholm, Sweden, 30 May-1 June, doi:10 1109/VETECS.2005.1543252. Sati G, Singh S. (2014) A review on outdoor propagation models in radio communication. Int. J. Computer Engineering and Science, 4(2):64-68. Famoriji JO, Olasoji YO. (2013) Development of a radiowave propagation model for hillyareas. Int. J. Electronics Communication and Computer Engineering, 4(2):536-539. Mardeni R, Kwan KF. (2010) Optimization of Hata propagation prediction model in suburban area in Malaysia. Progress in Electromagnetic Research C, 13:91-106. Nissirat L, Ismail M, Nisirat MA. (2012) Macro-cell path loss prediction, calibration, and optimization by Leeâ€™s model for South of Amman city, Jordan at 900, and 1800 MHz. J. Theoretical and Applied Information Technology, 41(2):253-258. Obot A, Simeon O, Afolayan J. (2011) Comparative analysis of path loss prediction models for urban macrocellular environments. Nigerian Journal of Technology, 30(3):50-59. Zar PT, Hlaing AS. (2014) Modification of propagation prediction for 2.4 GHz indoor wireless environment. Proceedings of the International Conference on Advances in Engineering and Technology, Singapore, 29-30 March,360-364. Parsons JD. (2000) The mobile radio propagation channel, Second Edition, John Wiley and Sons Ltd, New York, 1-433. Online [Available]: http://read.pudn.com/downloads114/ebook/480003/Mobile-Radio-Propagation-Channel.pdf. Retrived on October 5, 2017. Shoewu O, Edeko FO. (2011) Analysis of radio wave propagation in Lagos environs. Am. J. Scientific and Industrial Research, 2(3):438-455. Podder PK, Islam F, Sarker DK, Hasan MG, Kundu D. (2012) An analysis study for the performance analysis of propagation models in WiMAX. Int. 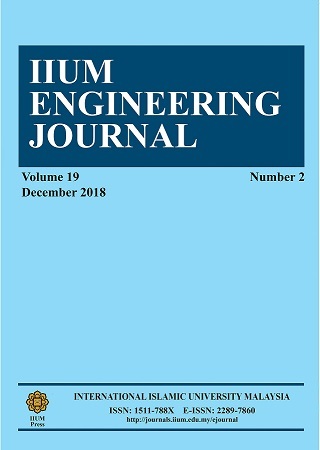 J. Computational Engineering Research, 2(1):175-181. Rodriguez I, Abreu R, Almeida EPL, Lauridsen M, Loureiro A, Mogensen P. (2016) 24 GHz cmWave radio propagation through vegetation: Suburban tree clutter attenuation. Proceedings of 10th IEEE European Conference on Antennas and Propagation, Davos, Swizerland, 10-15 April, DOI:10.1109/EuCAP.2016.7481471. MilanoviÄ‡ J, Rimac-Drlje S, Majerski I. (2010) Radio Wave propagation mechanisms and empirical models for fixed wireless access systems. Technical Gazette, 17(1):43-52. Temaneh-Nyah C, Nepembe J. (2014) Determination of a suitable correction factor to a radio propagation model for cellular wireless network analysis. 5th Proceedings of IEEE International Conference on Intelligent Systems, Modelling and Simulation, Sheraton Langkawi Beach Resort Teluk Nibong Langkawi, Malaysia, 27-29 January,175-182.